This pozole had great flavor, but I wish it had come out hotter (temperature wise). It was only warm and quickly became luke warm. 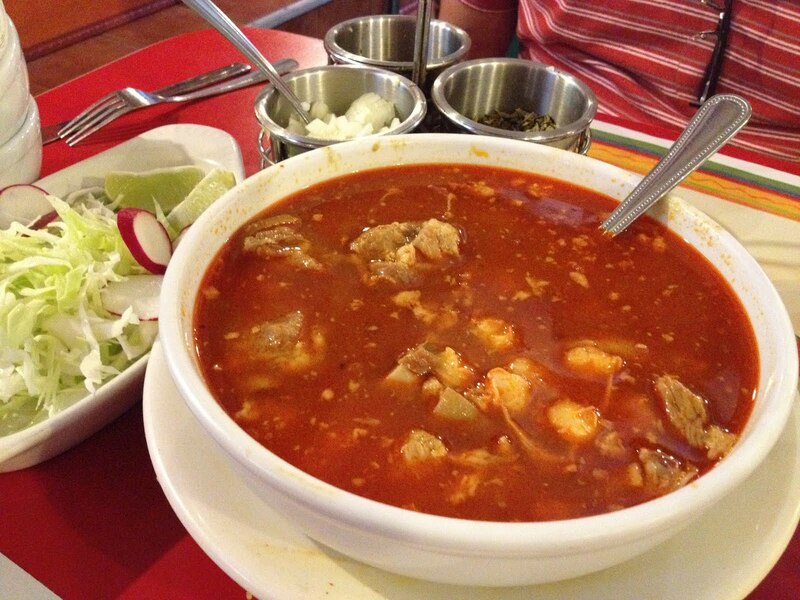 Not the way you should enjoy pozole! The preparation was rustic which I don’t mind, but Silverfox didn’t like picking around the bones and connective tissue of the pork. I did enjoy the number of accompaniments this came with. 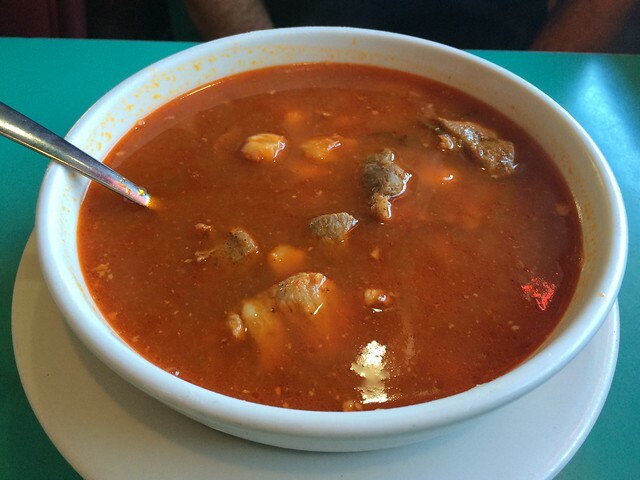 You could flavor the soup just the way you like it. I do have to mention that the service at this restaurant was particular sweet and friendly. Looks like the price has gone up! This entry was posted in 7x7 Big Eat SF, Restaurant, San Jalisco and tagged cabbage, chili pepper, hominy, lime, Mexican, onion, oregano, pork, Radish, soup by vicentesf. Bookmark the permalink.